These original Glass clear rolling papers from Brazil stormed the market and became an instant success. 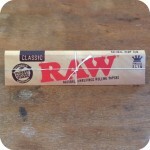 They’re are also known for being the #1 selling clear rolling paper on the market. 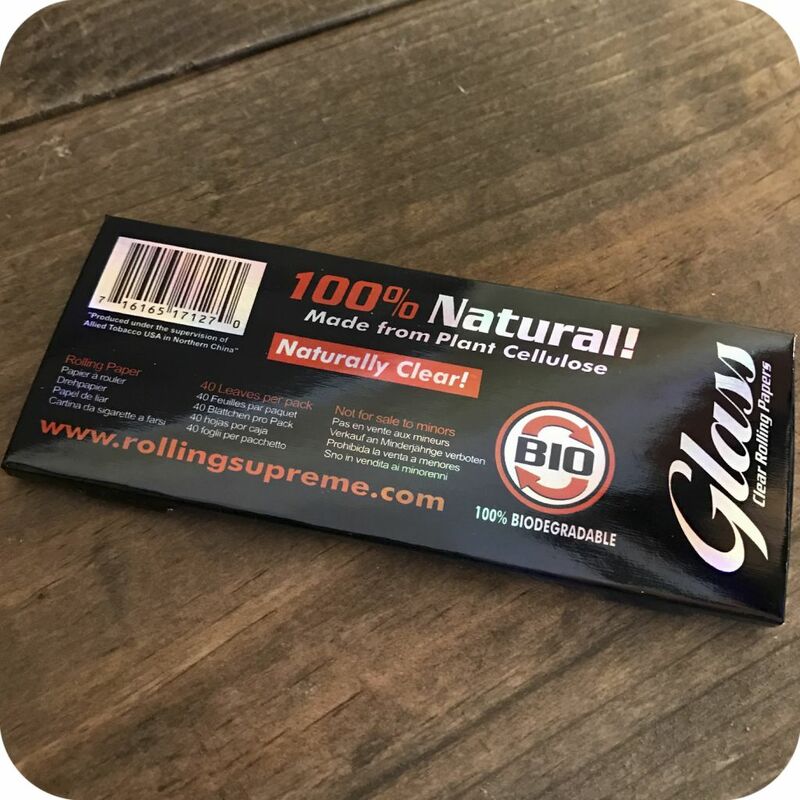 Glass King Size Slim Clear Rolling Papers are a funky, clear smoking paper that are completely transparent, use 100% natural ingredients, and burn much slower than other similar brands on the market. 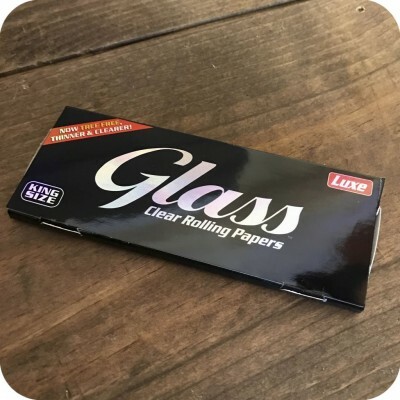 Unlike competing clear papers that are made from wood fibers that have a harsh burn to them, Glass makes their clear smoking paper from smooth burning Asiatic Cotton Mallow. 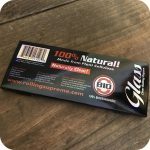 And because Glass doesn’t use chemicals to bleach their clear rolling papers, you can be sure you’re getting a chemical-free smoking experience that is much smoother and healthier. Each pack contains 40 king size leaves which are all gum free, thanks to the special qualities of the cellulose material. Just simply roll, lick and seal the clear paper for an incredible smoking experience. 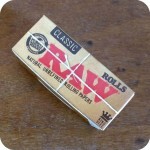 Tags: clear paper, Clear rolling papers, glass, glass papers, King Size, rolling paper, rolling papers, Slim.